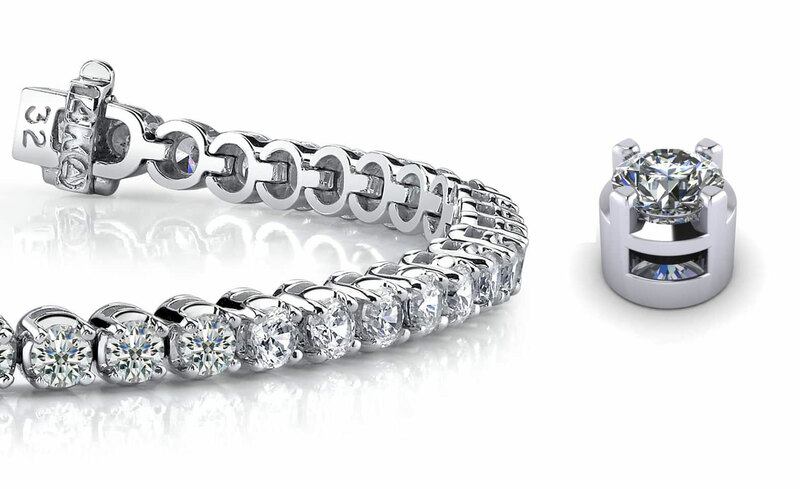 An exciting twist on the classic four prong tennis bracelet, this gemstone and diamond version combines superior quality with one of a kind design. 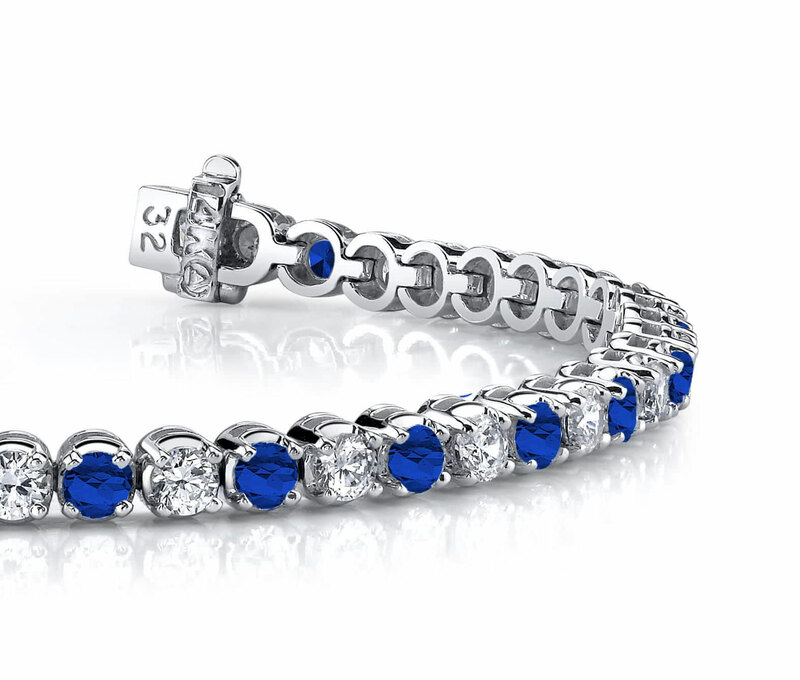 The classic four prong design puts the emphasis on the eye-catching gems featured in this tennis bracelet. It is offered in 12 different sizes ranging from over 2 carats to 15 carats! Various sizes will have between 30 and 63 diamonds depending on the carat size you choose. The stones are breathtaking in individual prong-settings, and this is truly one of the most enduring, classic pieces in the collection! Stone Carat Weight: 31X0.033 ct., 32X0.033 ct.